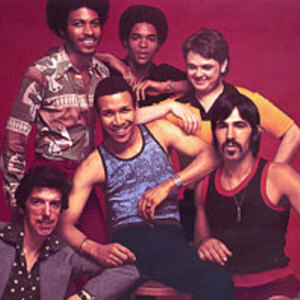 There is more than one artist(s) using the moniker Heatwave: Heatwave was an international funk/disco musical band featuring Americans Johnnie Wilder, Jr. and Keith Wilder (vocals) of Dayton, Ohio, Englishman Rod Temperton (keyboards), Swiss Mario Mantese (bass), Czechoslovakian Ernest "Bilbo" Berger (drums), Jamaican Eric Johns (guitar) and Londoner Roy Carter, (guitar). They were known for their successful songs "Boogie Nights" and "Always and Forever" (from their 1976 debut album, Too Hot to Handle), and "The Groove Line" (from their 1978 follow-up album, Central Heating). Founder member Johnnie Wilder was an American serviceman based in West Germany when he first began performing, upon his discharge from the U.S. Army, he stayed in Germany. He sang in nightclubs and taverns with an assortment of bands while still enlisted. By mid-year, he decided to relocate to the United Kingdom and through an ad placed in a local paper he linked up with songwriter/keyboardist Rod Temperton. Touring the London nightclub circuit billed as Chicago's Heatwave during the mid-1970s allowed them to refine their sound, adding a funk groove to disco beats. In search of a fuller sound vocally, Johnnie Wilder called upon his brother Keith Wilder (who was performing in a local band in Dayton, Ohio) to join the band on vocals. The group signed to GTO Records in 1976. They were paired in the studio with GTO house producer/session guitarist Barry Blue and rhythm guitarist Jesse Whitten. Rhythm guitarist Roy Carter replaced Whitten after Whitten was stabbed to death in his hometown of Chicago, Illinois. They began creating their first album Too Hot to Handle in the fall of 1976. Their third single, "Boogie Nights" from their debut album, scored number two on the British popular music charts in January, and also became a number 2 success in America in November. The group's debut album, Too Hot to Handle, was released in the spring of 1977, giving Heatwave a number eleven success in the U.S. - reaching number five on the R&B charts, while the next single, the soul ballad "Always and Forever", closed out the year with a number two U.S. R&B success and #18 pop success in December. Continuing to use Barry Blue's production skills, Heatwave released their second album Central Heating in April 1978. Lead single "The Groove Line," reached number seven in the charts. During the late 1970s the band changed. At first Eric Johns quit the band and Billy Jones was his replacement as guitarist. Then Rod Temperton quit the band. Although Temperton would continue writing new songs for Heatwave, he soon became better-known for his songwriting for other artists, penning award-winning songs for some of funk's biggest names, including Rufus and The Brothers Johnson. He also wrote for Herbie Hancock and Quincy Jones, but his most famous partnership remains the one forged with Michael Jackson, writing three songs for his 1979 Epic debut Off The Wall - "Rock With You," "Off The Wall" and "Burn This Disco Out", and three songs for the 1982 Thriller LP, including the title track. Despite these changes Heatwave were about to return to the studio, only to suffer a tragedy: Mantese attended a party at Elton John's house in London. He was with is girlfriend, who decided to go home early from the party, reason unknown. When Mantese arrived home, she was furious with him, perhaps from an incident that happended at the party and stabbed him. The knife hit him in the heart and for several minutes, he was clinically dead. When, after several months, he awoke from coma, he was blind, mute and paralysed in his entire body. To date, he has no memory of this tragic event. He decided not to press charges against his girlfriend, and moved in with her after leaving the hospital. Mantese was replaced by bassist Derek Bramble. Adding keyboardist Calvin Duke to the group, and now working with new producer Phil Ramone, Heatwave cut Hot Property, released in May 1979. During the spring of 1979, lead-vocalist and songwriter Johnnie Wilder, Jr., also suffered injuries in an auto accident while visiting family and friends in Dayton, Ohio. Although he survived, the accident left him paralyzed from the neck down and unable to continue performing with the group. After the accident, Johnnie remained a co-producer of the group, along with Blue. Heatwave's popularity was on the wane, though, as the November single "Gangsters of the Groove" proved to be their last popular music success, scoring number twenty-one in the U.S., and number twenty in the United Kingdom early in the New Year. But the album peaked at a mere number seventy-one in the United States in December 1980. Heatwave's 1982 LP, Current, marked yet another new era for the band, as they returned to producer Blue. The album managed only number 156 on the U.S. Billboard 200, although it scored the band a number twenty-one success on the R&B charts, where Heatwave continued to be a strong presence. A Rod Temperton penned single, "Lettin' It Loose," proved a minor success during August. Emmanuel "HeatWave" Matovu is a rapper from Vancouver, B.C. He is currently signed to Killawatt Records and under the mentorship of Rascalz pioneer Red1. His manager is David Katz (DLMK Management). HeatWave was born November 29, 1985 in the isolated mountains of Lesotho. As his father escaped persecution from political and economic forces in the family's homeland of Uganda, a nun delivered HeatWave and gave him the South African name of "Motsamai," meaning traveller. His mother is related to the Bugandan royal family. Growing up between the West Coast cities of Seattle, WA and Vancouver, Canada, HeatWave started rapping at the age of eleven in school talent shows. When he was 19 and on tour with Juelz Santana, HeatWave was discovered and signed by Red1. In the past four years he has shared the stage with Akon, Rihanna, Nas, Damien Marley, RZA, GZA, Ice Cube and The Game. Heatwave has released five of his own mixtapes and appeared on numerous others.